We HIGHLY recommend Tommy Daly & his team for any Real Estate needs. 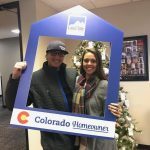 My boyfriend & I just recently purchased as First Time Home Buyers & it was by far the smoothest process. He was very quick to respond to any of our questions & he was always on time for showings/meetings which a plus for me. Even though we have closed our transaction, Tommy still keeps us at the front of his mind & makes sure things have gotten done on our home. If you’re looking for a Realtor that can negotiate prices, find all your wants/need & take care of you every step of the way…. then Tommy is your agent! Thanks again for helping us accomplish our #1 Goal!